Mix the Sugar Syrup and Angostura Bitters in an old fashioned glass. Add some Whiskey and stir. Add a few ice cubes and the remaining Whiskey and stir again. 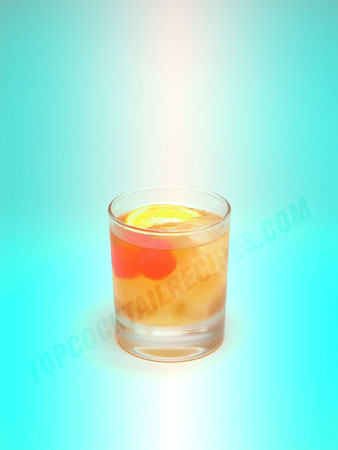 Some would prefer to add a hint of fresh Orange Juice or Orange Curacao to this cocktail.